Beautiful handcrafter furniture for that eye catching centerpiece to any room. Go for the natural look in your kitchen with a hand crafted live edge countertop. Unique live edge slabs for use in your own home and furniture projects. This single slab Silk Oak Dining/Kitchen Table has been created at our workshop in Laconia, New Hampshire. 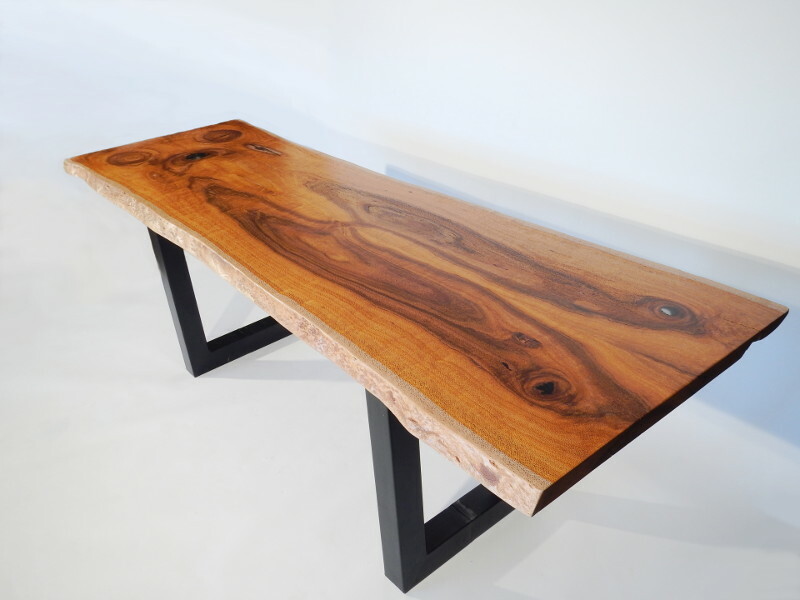 Our Live Edge Furniture Collection features dining tables, benches, desks, conference tables, headboards, coffee tables, vanities, countertops and more! 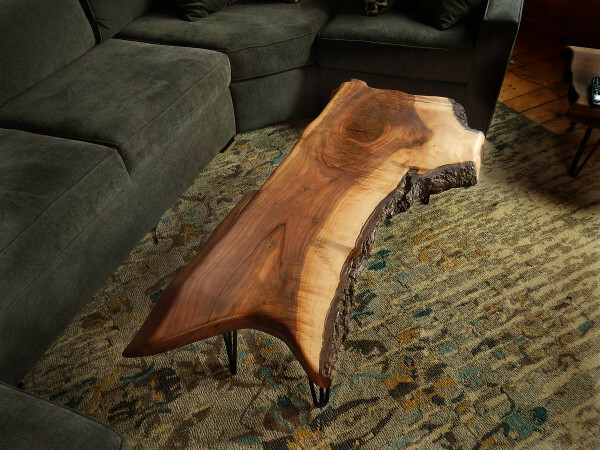 Live edge materials and furnishings provide contrast or complement to any decor. The aged, organic composition of live edge construction infuses any home, office, business, or garden with interest, texture, imagination, and the raw elements of nature. 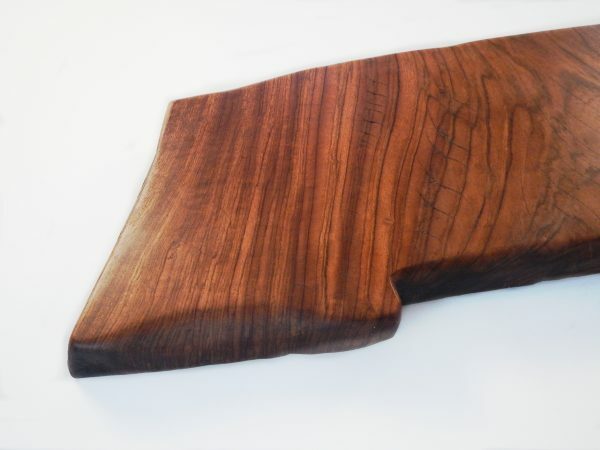 Our vast inventory of exotic and native hardwood slabs allows you to hand-select the tree that speaks directly to you, your lifestyle, and your decor. In collaboration with clients, our team of experienced designers and craftsmen work tirelessly to bring vision to reality. Whether your goal is new construction, renovation, interior design, or a single furnishing, handcrafted live edge design brings truly one-of-a-kind character and organic elegance to any project. Each Vantz creation is handcrafted and designed to order so you can create a custom, live edge piece that fits your home and your lifestyle! 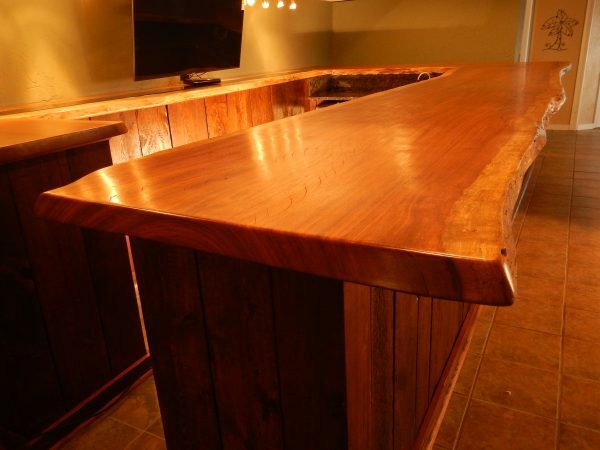 Use this gallery of examples from our workshop to INSPIRE your next great live edge project.